CEO Hans-Joachim Watzke has been left very impressed by Axel Witsel’s big influence at Borussia Dortmund since joining last summer. The Belgian midfielder arrived at Signal Iduna Park last summer from Chinese Super League side Tianjin Quanjian for a reported deal of €20m. 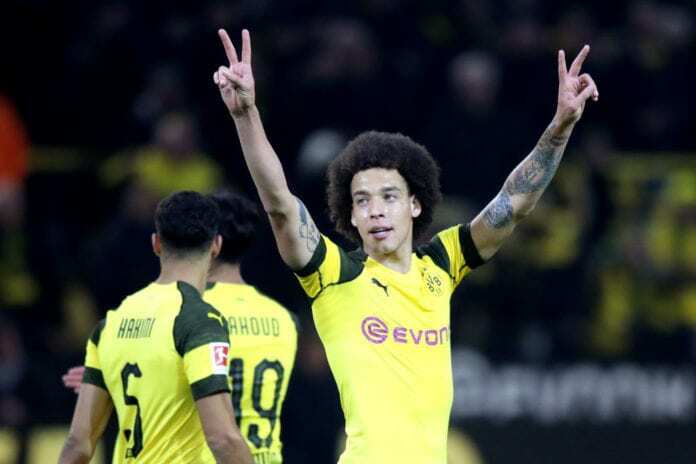 Despite having not played European club football for one and a half years, Witsel took no time at all in readapting and has since established himself as a key member of the Dortmund. The 30-year-old has scored in Dortmund’s last two games to help them maintain their six-point advantage over Bayern Munich at the top of the Bundesliga. Now Watzke has gone as far as labelling Witsel as one of Dortmund’s best signings of the past 10 years. “Axel is a fundamentally important player for us – together with Marco Reus, he’s one of the absolute leaders,” Watzke told Bild. Dortmund sporting director Michael Zorc also gave his views on Witsel, who he describes as “world-class”. “Axel is extremely important for us,” said Zorc. “He oozes confidence – both on the inside and the outside. He gives our game the right structure. Axel is a world-class player. The Belgium international recently revealed himself that he isn’t the least bit surprised by his superb start to life in Germany due to the high-level of footballers in China. Witsel has managed five goals and one assist in 26 appearances across all competitions this season for Dortmund. Lucien Favre’s side have got off to a solid start in 2019 after following up on a 1-0 win away to RB Leipzig by thrashing Hannover 96 5-1 at home last weekend. The Bundesliga leaders will next take a tricky trip to fifth-placed side Eintracht Frankfurt this Saturday, who have enjoyed a strong campaign of their own and will surely be eyeing an upset at the Commerzbank-Arena.